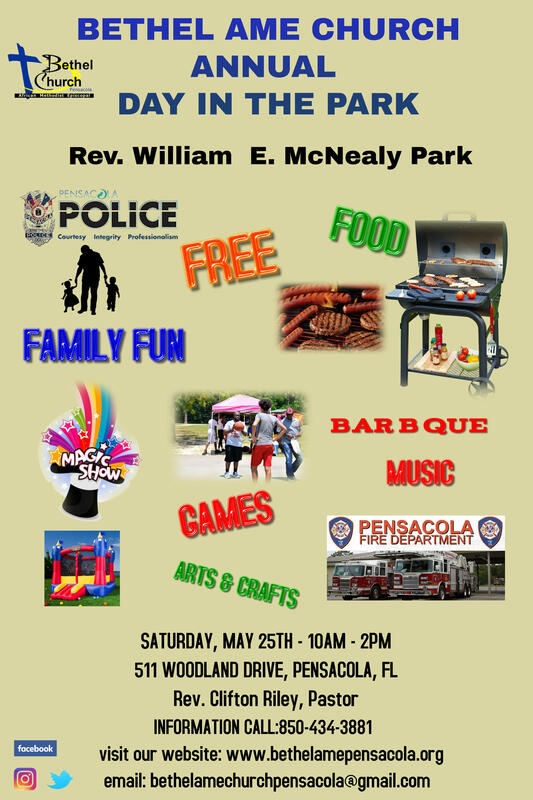 The Annual Bethel Day at the Park is partnering with the Pensacola Police Department and the Pensacola Fire Department by bringing the community together. There will be lots of food, plenty of music and games. Fun activities for children including arts and crafts. 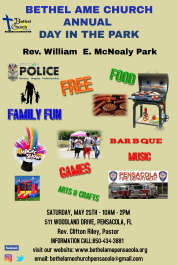 The Fire Department will have the fire truck here for the kids to see.